A Juno, a Jupiter, or something else? Rumours are rife that Roland is set to unveil a new synth at the NAMM Show later this month. The frenzy began when Japanese artist Daisuke Asakura shared an image of a Roland instrument called the JD-Xi on Facebook (this has since been removed), and it appears that this could be some kind of analogue/digital hybrid. Create Digital Music speculates that the digital synth section may enable polyphonic operation, but that there's also an analogue oscillator with sub-oscillator. An analogue filter also looks to be on the cards. 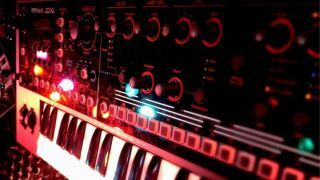 Whether this is a new addition to the AIRA range remains to be seen; it may be that this synth will be branded differently, and will be unveiled in addition to new AIRA hardware. We fully expect to see it at NAMM, though; 2015 is already shaping up to be a big year in the hardware synth market.